Tangke is a natural saltwater pool located in a hidden spot behind the steep cliffs of Isla de Gigantes Sur in Carles, Iloilo. Travelers and locals of Carles visit tangke to swim in its refreshing shallow waters and gaze at the beautiful rock formations. Many myths surround this interesting natural attraction. One such story says that during the feast of Saint John the Bapist (San Juan de Bautista) on June 24, the water level inside tangke would magically rise significantly. Locals also warn visitors not to make too much commotion and noise in tangke as this would disturb the enkantos, or enchanted beings, which could cast nasty curses to those who upset them. Tangke is located in South Gigantes Island (also called Isla Gigantes Sur) in the town of Carles, Iloilo’s Northernmost town. The jump-off point to South Gigantes Island is in Estancia town’s seaport. From there, tourists can hire a pumpboat to go to South Gigantes Island/Tangke. Travel time is approximately an hour. Just curious…how to get to Gigantes Island/ Tangke from Blue Lagoon Beach resort and how far? Hi. to all blogers. Good news If you want a coozy place to stay before going to Isla de Gigantes.. we have a place to stay in estancia. if you want you can visit us on our facebook account Endielina’s Inland resort. thanks! we will be much welcome to serve you guys.. . And I am courius how to join and be the one of the hotels to be featured as well to this website.. .
i love that place…i have a family there, its really amazing…every summer we visit isla gigantes..very nice place..
Hi.. May I know how far this is from the airport.. how many hours of travel and what kind of transportation is available to reach this place.. I am fascinated and I really love that please because i was born there!in dayhagan we have a white sand also!im proud to be a carlesanun! I really love that please because i was born there!in dayhagan we have a white sand also!im proud to be a carlesanun! Love your blog! I will be taking friends from abroad and been taking ideas from your site. I stayed in Iloilo until I was 14, Bora is the only spot I knew! I am sooo definitely taking everyone at Gigantes Island. Note: For interested parties please contact me through facebook.com/roxannevi or through my email [email protected]. Wow! This place is magical! I am so glad I bumped into your site. Does Tangke have an accomodation or a nearby place to stay for overnight trips? pls send contact info. Thanx. Wow! This place is magical! It’s a good thing I bumped into your site. Does Tangke have an accomodation or a nearby place to stay for overnight trips? Thanx. hello. do you have a suggestion/recommendation re: itinerary, accomodation, & boatman for this trip? thanks! Try contacting this number 09095888163. It’s not my personal contact but they have a house in Isla Gigantes Sur. Please update us with the developments of your trip. hello. do you have a suggestion re: itinerary, accomodation, & boatman for this trip? thanks! Hi! Nice pics… This place is really great… I Had visited this for several times… I’d lived in gigante norte for 3 years… quite short time indeed, but, i had a lot of fond memories in that place…. especially in brgy. gabi… i’d met a lot of friends there…. Hi.. tnx sa pgpost u nang some of the beautiful spots of Gigante Sur..
I’m proud of my place..!!!!! Just known that Iloilo has this place also. 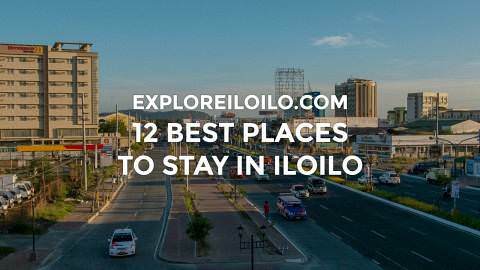 It certainly is one of the attractions of iloilo needing publication. Chy, pila gastos pakadto dira from the city? Kag ano kadalum ang tubig? basta there were around 10 of us and we spent P1,500 each. That already includes transpo and food. We stayed with a family that my friend knows so libre accommodations. The parts where I swam were around 4-5 feet. I didn’t get to the deeper parts. does anyone have a number of a place to stay in Carles or Estancia? We will be in Iloilo from May 15-19, 2009 and we cant find a place. my kind of place in Iloilo. I hope to visit the place one of these days. Cheers Marcos ! I will try to visit the place next time I goes home to Iloilo. Btw, I always lurk here in your website to get more updates, ets. Cheers. 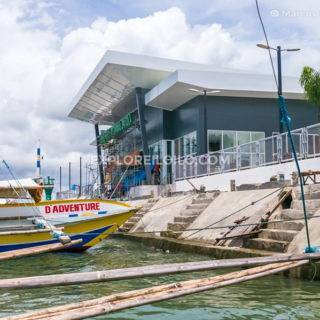 I hope that DOT will promote this location, iloilo has a vast number of tourist attractions, specially in northern part, It is so exciting that iloilo will be the next palawan or additional tourist spot. Indi bala mga taga Sara? and concepsion and carles? becuase of muslim, the world is getting worst. Actually, I do not feel the great effort for tourism in Northern Iloilo Destinations … kanugon. LGUs there are still traditional and focuses on agriculture and fisheries. Tourism development there is very slow if not stagnant. ahh amo na gali da. please pardon my ignorance. Politics is always the biggest hindrance to development in our country. i agree wid u mark..our place at the northern part might somewhat beLieved to be whimsical, but still tourist can’t get enough of the breath-taking views.. the more the place is enchanted, the more people wanted to explore it in anyways..we have a secret place somewhere at the boundary of capiz and iloilo..this place is still untouched, no resorts around so the family get to swim for free.. the water is great, the sand is even whiter than boracay..and we love to go there every summer..i hope the gov’t give time to fund for the beautification of carles. wow! 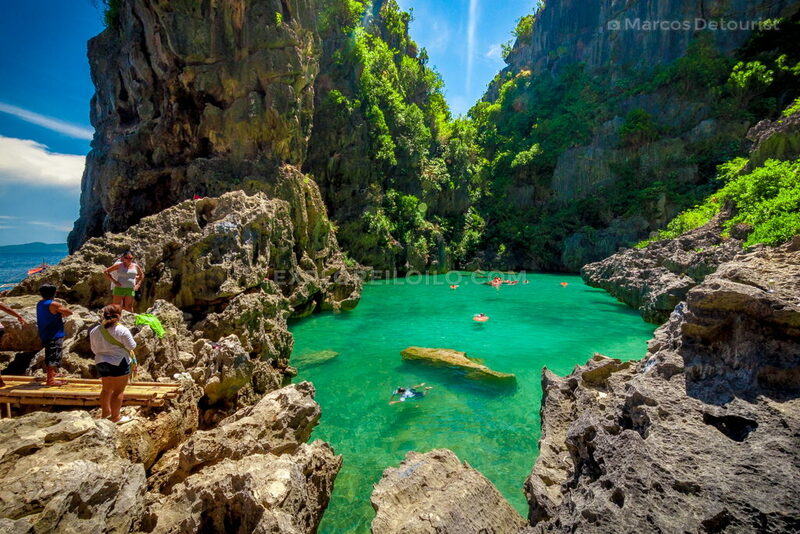 An alternate to El Nido,Palawan.Looks like Phuket ah! have been to Phuket eh.hehe. nami ba! will visit it soon. It does look like those destinations.. and it’s in Iloilo, not many poeple know that Iloilo has these kind of destinations. MARCOS! The site almost made my eyes poped off my eyesockets!!! I can’t believe that Iloilo has this site. Never mind Thailand, it’s next to Palawan’s! Probably not as massive as the latter but comparable enough. Great, Tangke will be in my hit list next time..it looks like it’s within the proximity of Sandbar, Pan de Azucar, Gigantes Island and Sicogon Island. Thanks Marcos for discovering this place! I bet, a lot of people are dicovering Iloilo thru your website…more power to you! It’s like a little brother of Palawan then :) Next time you visit here Lee, make sure to visit this area … it is unlike what most people perceive of Iloilo. Gigantes and Sicogon are near to each other. Pan de Azucar is a bit far already but you can see the it in the horizon if you’re in Carles. Definitely, I will, Marcos! How deep is the deepest part of the lagoon? I’m thinking if it’s safe to jump off to the water from one of the cliffs around it! What a crazy thought, eh! Maybe, I’ll just do snorkeling around… hahaha… a lot safer! Are there tropical fishes in the lagoon, as well? The part’s I’ve swam to are relatively shallow, probably around 4-5 feet. I’m not sure where the deeper parts are. You could just from the low cliffs but you’re definitely crazy if you’d jump from the very top,hehe.